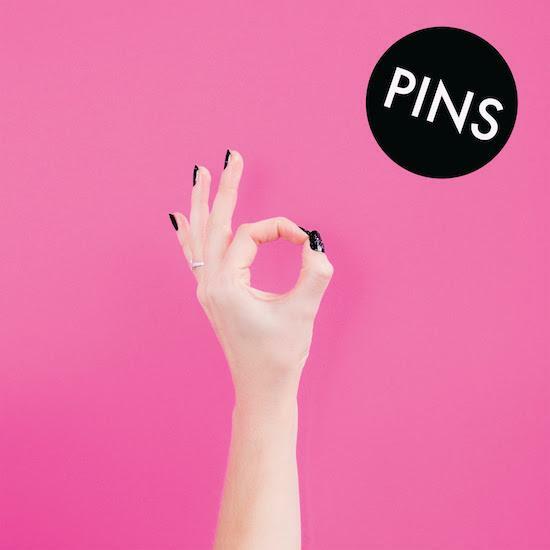 WATCH the new video from awesome rock band Pins. The song is 'Aggrophobe' featuring the dulcet tones of Iggy Pop and is taken from their Bad Things EP. The EP will be released by the Manchester five piece on March 24 via Haus Of Pins, but this track was initially released as a limited edition 7” yellow vinyl, numbered and signed by the band, with a B-side remix by fellow Mancunians Bernard & Edith. The EP also features Greater Manchester trenchcoat classic, 'Dead Souls' (Joy Divsion) and will be released as a download along with 500 limited edition 12” on Cadillac pink vinyl. If you want to listen to the killer lead track from the EP, listen to this week's The Quietus Hour podcast and there is a teaser trailer for the EP above.